Should students be allowed to fall in love on campus? Should students be allowed to hold part-time jobs? These subjects of student debates at Sun Wen College in Zhongshan City, Guangdong, indicate how different college life is in China and the United States. School policy answers "No" to both questions. Those who argued that students should be allowed to hold part-time jobs said that students benefit by learning about the real world of work. But those who argued that students should be allowed to fall in love said only that a boyfriend or girlfriend is a good study partner. They said nothing about the real world. A few of our 18-year-old freshmen claimed not to know what "falling in love" means. Schools and teachers play a much more parental role in China than in the U.S. Even in college, teachers may supervise students' leisure time as well as class time. The students' role includes running errands or doing chores for teachers. When we moved into our apartment, some of our students were recruited to fill the planters on our balconies with dirt and plants. Our students often volunteered to help us with shopping. High school students are even more closely supervised. From morning exercise to nightly study hall six days a week, they have hardly a free moment. At Sun Wen College, no one who lives on campus needs an alarm clock to make sure they get up in time for class. At 6:15 every morning, the loudspeaker blares forth a wake-up medley of rousing orchestral pieces such as the Carmen Overture, Rhapsody in Blue, and Stars and Stripes Forever. By 6:30 a.m., all dormitory students are supposed to be out on the soccer field doing morning exercises in unison. Breakfast--mostly rice soup (jook), sometimes dim sum—is served from 7 a.m. Classes begin at 7:45. Most classes span two 50-minute periods. There are four regular periods in the morning. Everything shuts down at noon for the daily siesta, and classes resume at 2:30 p.m. Regular students attend class six days per week. College students in China are a privileged minority and are highly motivated. They are also a serious lot, but probably less so in Zhongshan than in other parts of the country. Sun Wen College also has a relatively high proportion of informal, fee-paying auditors who are improving their English in order to emigrate. 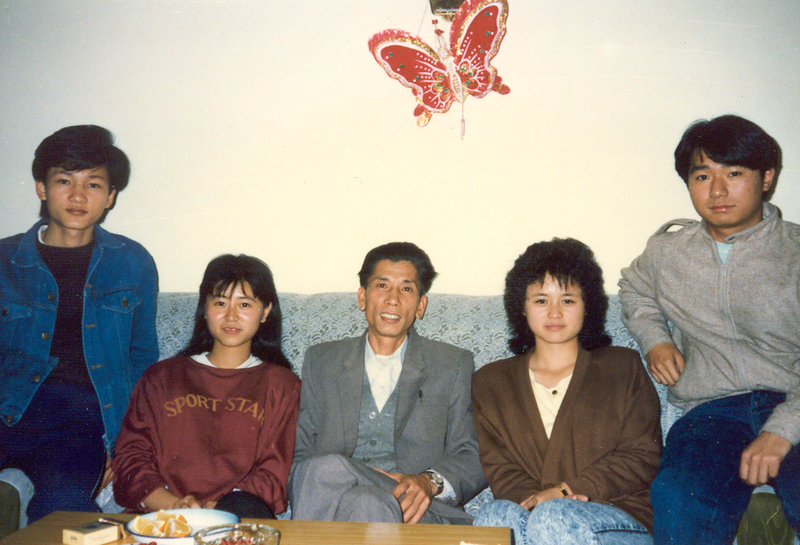 We lost several students to emigration during the year we were there. Basic education classes are held six nights per week from 7:30 to 9:30 p.m. for students who have not yet met formal entrance requirements. Lab sessions for informal students are held on Sunday mornings. There are no elective courses. You choose your major when you start, and that decides all of your courses. There is little room for individual initiative, especially since free time is kept to a minimum. Our English majors took intensive reading (for grammar), extensive reading (for vocabulary), listening comprehension, oral fluency, physical education, philosophy (political education), and Chinese language and literature. All classes are with the same classmates. This builds a strong class camaraderie. The whole class is also required to take part in such extracurricular activities as morning exercise contests, song contests, and clean-classroom contests. The most recent song contest offered a cash prize to encourage more enthusiastic competition. 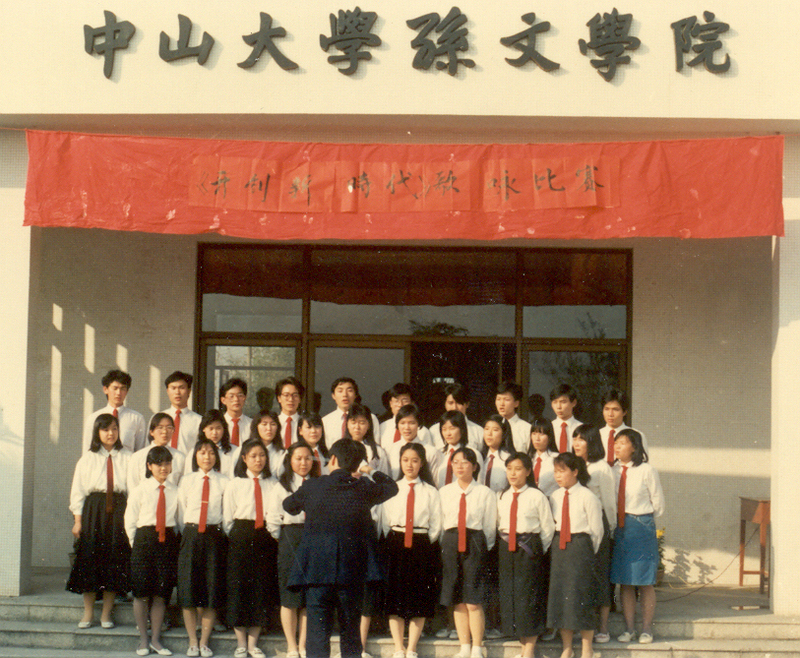 At the same time, the students were required to sing at least one revolutionary song. Each student sits at the same desk in the same room for most classes. Many study there in the evenings as well. The dormitory at Sun Wen College is filled to bursting. There are six students to each room. Although some dorm students come from as far away as Guangzhou, others live not more than an hour's bicycle-ride away. While the school cafeteria was under construction, the students were fed at an overloaded, tin-roofed canteen with coal-fired woks. A typical school lunch consists of a vegetable--usually choy sum, Chinese cabbage, or daikon--two or more protein dishes--often duck eggs, pork hash, small bony fish, water-buffalo beef, or tofu—and government-ration-quality rice, some of the worst you will ever taste. Eaters bring their own bowls and spoons. No one uses chopsticks.